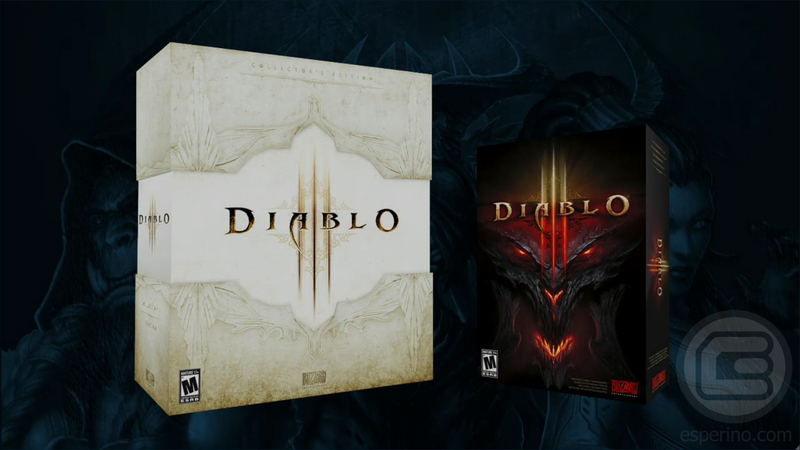 The annual Blizzard event BlizzCon for 2011 didn’t disappoint with the Diablo 3 Collector’s Edition being unveiled over the weekend. Although it was a long time coming, Blizzard have always pride themselves on producing some of the best Collector’s Edition and the Diable 3 CE is another exceptional value-for-money example. The full version of the Diablo III game on DVD-ROM. Shackle your PC into unholy slavery with this 4GB USB soulstone and Diablo skull base. The USB also includes full versions of Diablo II and Diablo II: Lord of Destruction so you can retrace the sinister path of the Dark Wanderer once more. Call forth glowing angel wings, unfurl an exclusive banner, and dye your armor sets with the Bottled Cloud or Bottled Smoke items. Journey throughout the World of Warcraft with the fetish shaman at your side. Display your status as a hero of the mortal realms with an exclusive army decal and three Diablo-themed Battle.net portraits. 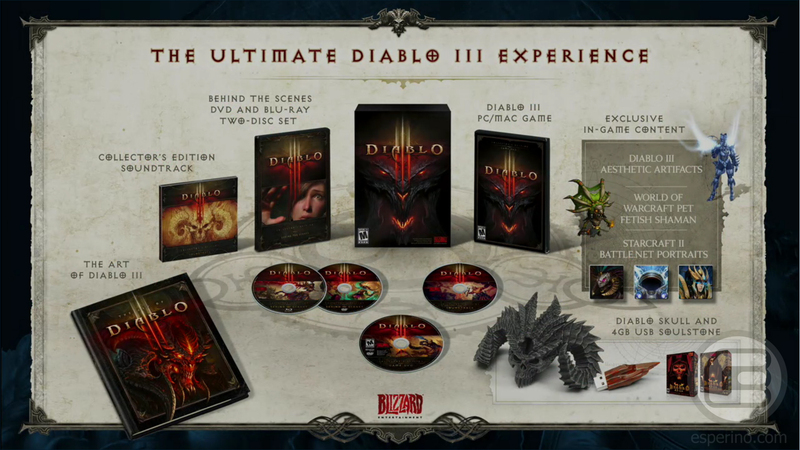 Meet the teams behind the creation of Diablo III with this exclusive Blu-ray/DVD two-disc set. Enjoy over an hour of interviews detailing how the world of Sanctuary came together from the combined efforts of artists, writers, programmers, designers, musicians and animators. Delve into the game’s stunning artistic development with this 208-page art book, which catalogues countless pieces, from early concepts to final 3D renderings. Experience twenty four original pieces from the Diablo III soundtrack on CD and deepen your music collection with a sound as timeless as the Eternal Conflict itself. The Diablo III Collector’s Edition will be available across North America and Europe however Blizzard have yet to reveal when the Diablo III Collector’s Edition will go on sale, or pricing for that matter. Some retailers have already started taking pre-orders ahead of the announcement so I suggest you place your pre-order ASAP to avoid disappointment.